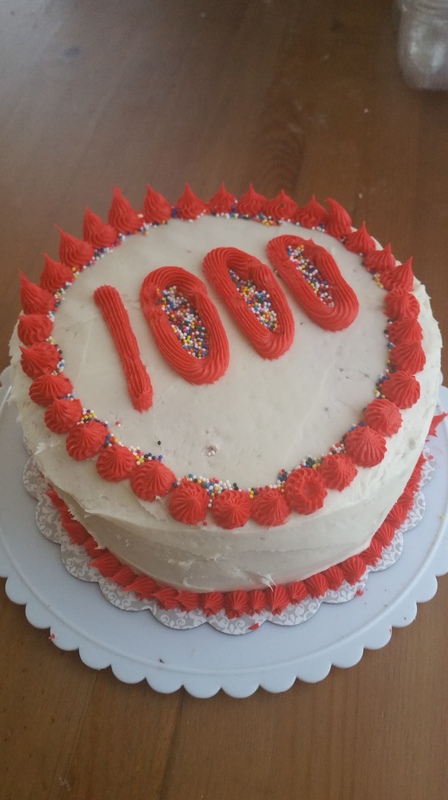 I was too busy celebrating my 1000th day of sobriety to publish this yesterday! 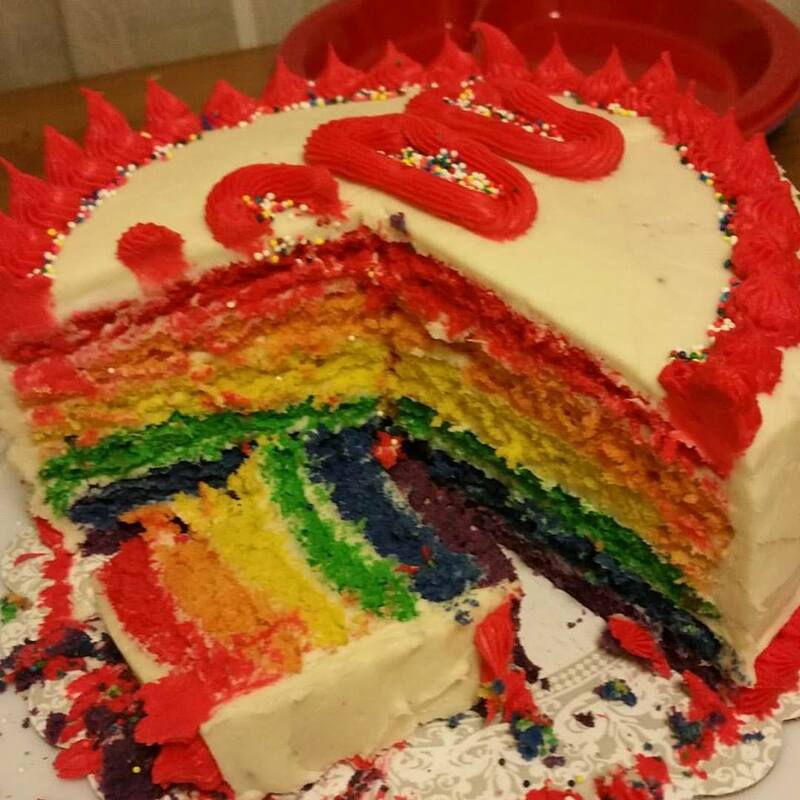 I spent the day cooking, teaching, playing a bunch of games with a handful of friends, laughing all night, and made a pretty awesome cake too. 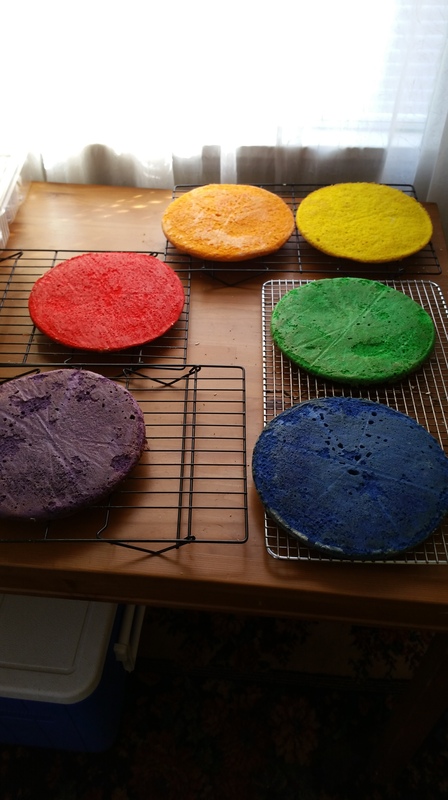 Here today is the brand new version of a rainbow cake I originally made last year, but I re-wrote the recipe yesterday to simplify a cake that still has a lot of steps but is definitely easier now. 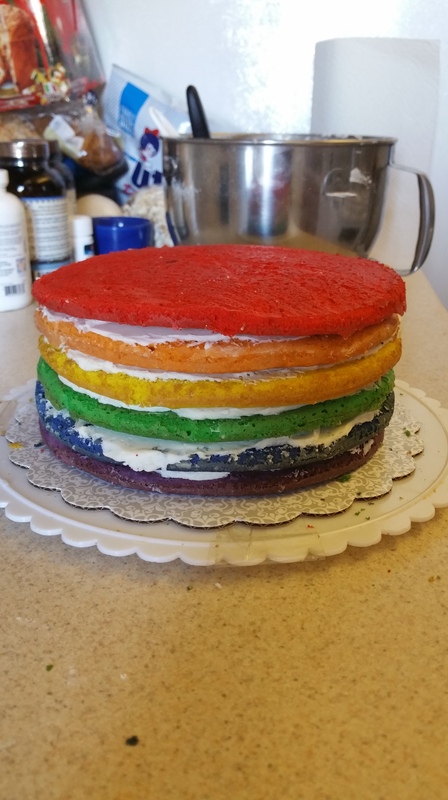 This was a special cake for a special day, and there’s nothing quite like cutting into it and seeing the rainbow of layers inside. Preheat the oven to 325 degrees F. Butter and flour (or line with parchment) six 9 in. pans. I only have three pans, so I baked in two batches. 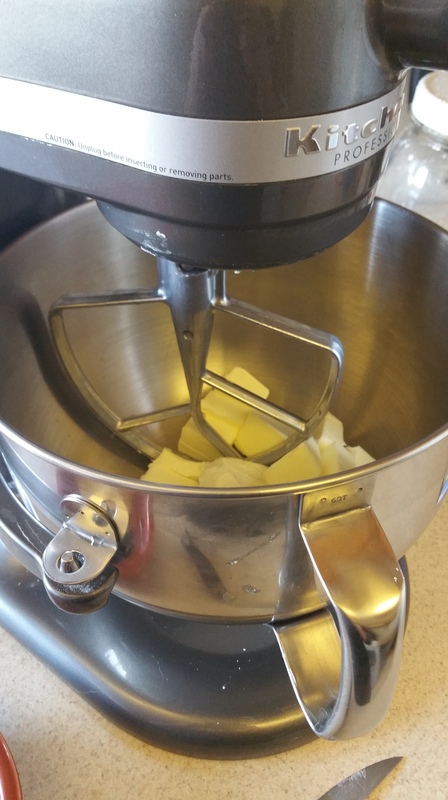 Combine the butter and sugar and beat until light and fluffy. Then beat in the eggs, one at a time, mixing well between additions. Add the vanilla extract. 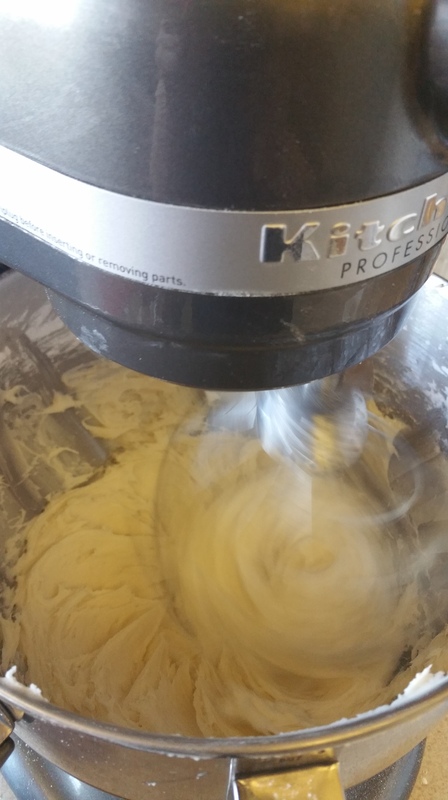 In a separate bowl, mix together the flour, salt, lemon zest, and baking powder. Slowly alternate adding the flour and milk to the wet ingredients and mix until well-combined. 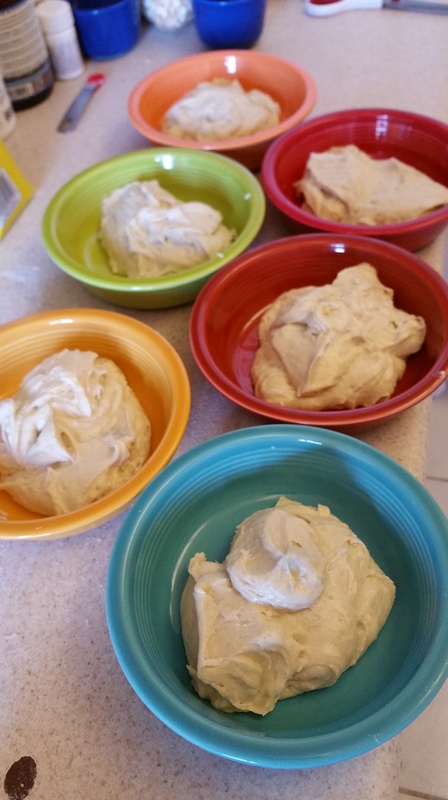 Weigh the batter and then divide it evenly into 6 bowls (my batter weighed approx. 9.5 oz per layer). 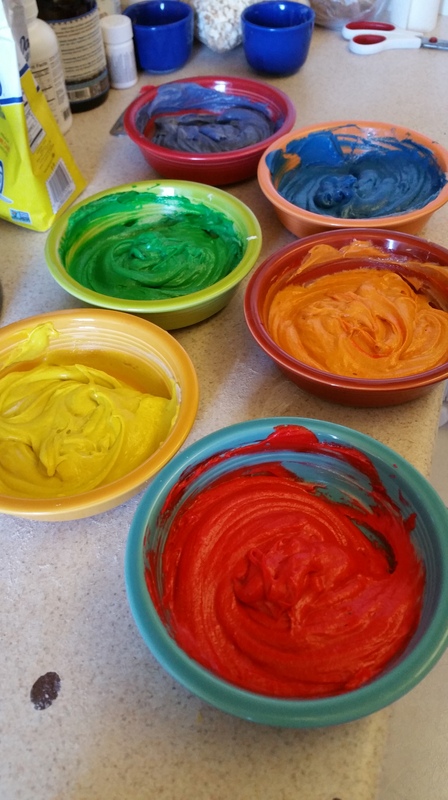 Mix the food coloring in the bowls so that you have a bowl of each red, yellow, orange, green, blue, and purple. 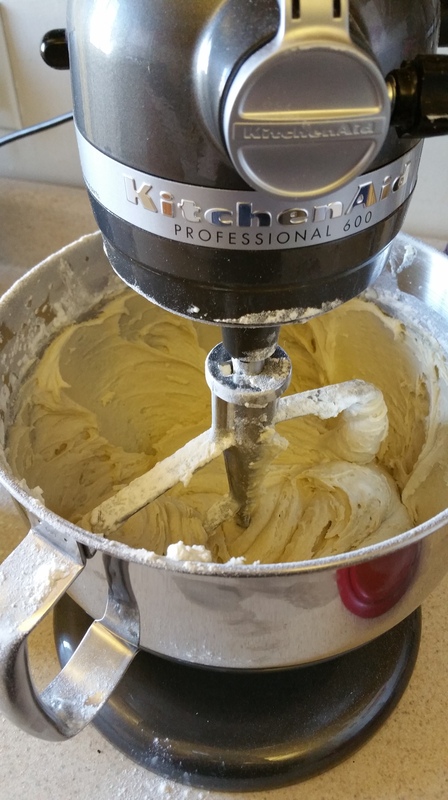 Pour the batter into the prepared pans and smooth with an offset spatula. Bake for approximately 13-15 minutes. 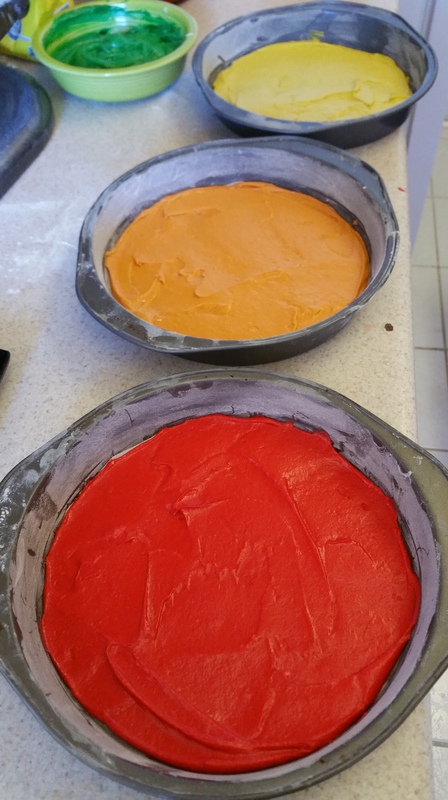 Cool layers completely before frosting. 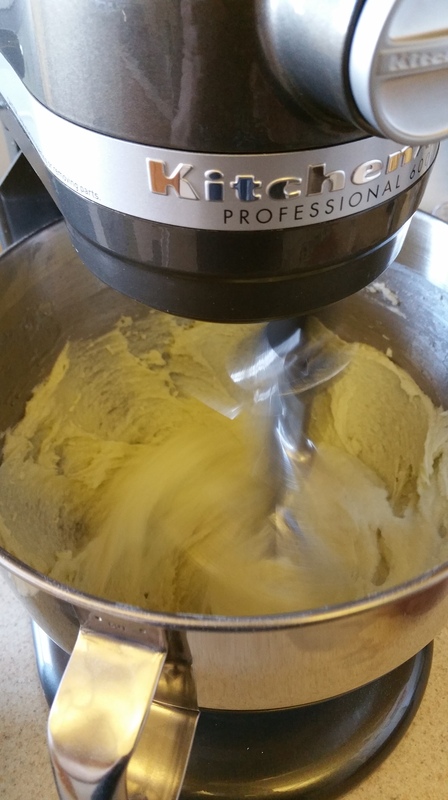 To prepare the frosting, whip the butter and cream cheese until smooth, then add powdered sugar slowly and whip until light and fluffy. Add the vanilla and almond extracts and mix well. 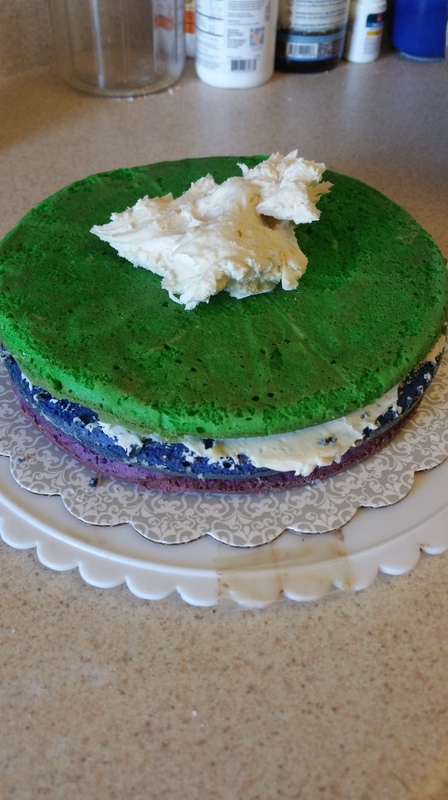 Stack the layers and put a thin layer of the frosting between them. 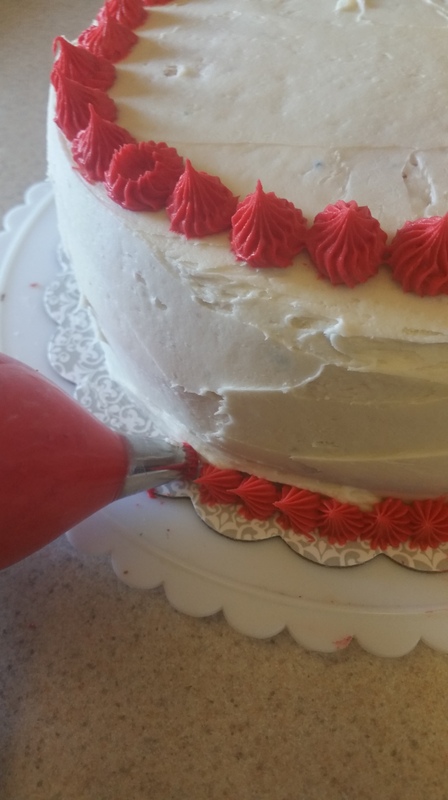 Then ice and decorate the cake as desired using the remaining frosting. Thanks for letting me share part of my celebration with you. Maybe I’ll make an even crazier one for 2000 days!